Jackson is currently obsessed with bellies. Here's his. 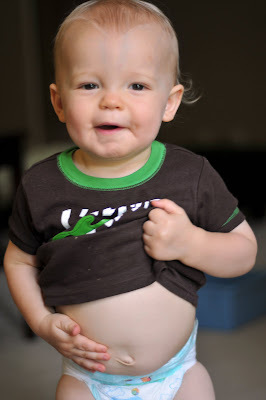 He also likes to pull up Mommy's shirt and look at her belly. We will spare you of that image. yeah, where's his summer "base" tan?